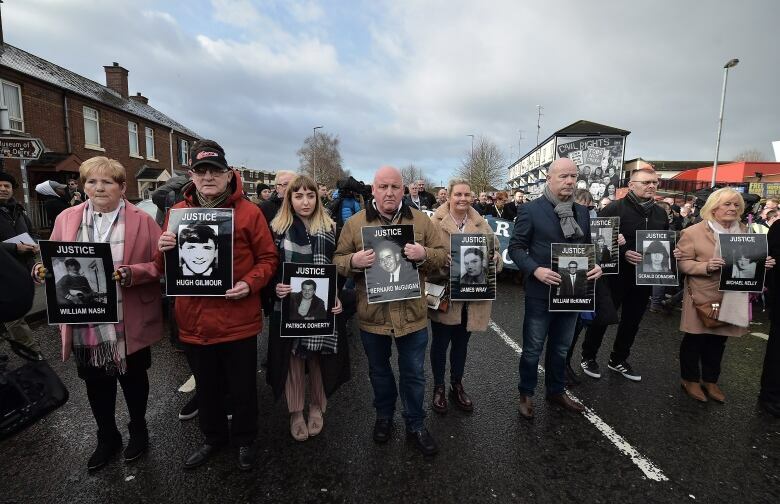 A former British paratrooper is charged with two counts of murder for his role in the 1972 Bloody Sunday massacre, but Kate Nash says that won't bring justice for the killing of her brother and the others gunned down that day. 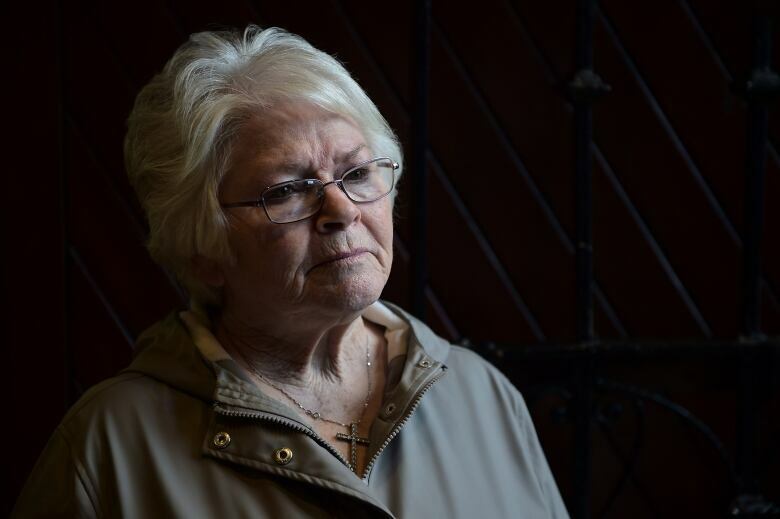 A former British soldier has been charged for his alleged role in Bloody Sunday massacre — but Kate Nash says she's still searching for justice. 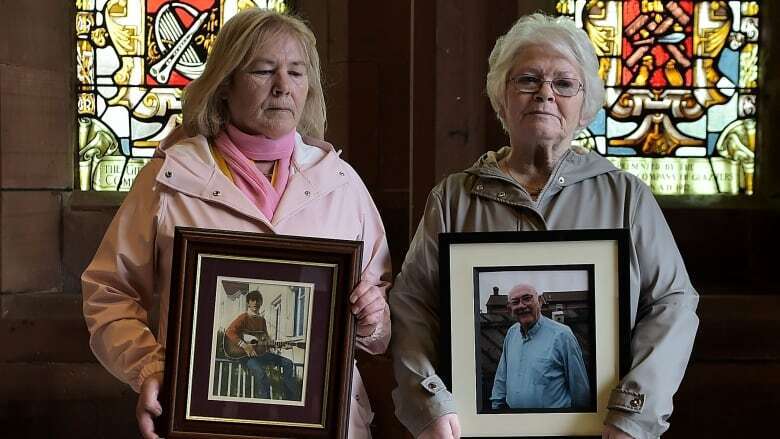 Nash's brother William was killed on Bloody Sunday in 1972,when British paratroopers opened fire on unarmed protesters in the streets of Londonderry — also known as Derry — in Northern Island. They killed a total of 14 people. Another 13 were shot but survived. Nash's father survived, despite being shot twice. The killings marked a turning point in what came to be known as the Troubles. Now a man known only as "Soldier F" has been charged with the murders of two men and the attempted murders of four others after the Public Prosecution Service of Northern Ireland said there was enough evidence to charge soldier on Thursday. Nash spoke to As It Happens host Carol Off about why she believes it's a "disgrace" that only one British soldier was charged and why she will continue to fight for justice. Kate what does it mean for you that these charges have been laid against one soldier? I'm devastated by the fact that there was only one soldier prosecuted. There was 18 others, in fact, 16 former British soldiers, who had fired shots that day, on Bloody Sunday. But the officials say there was insufficient evidence to provide a reasonable chance of conviction. We don't know why that happened. Bloody Sunday happened in front of the world press. I mean, it's been a cover-up for 47 years. And this is our first opportunity to be heard by the Public Prosecution Service here, which is an absolute disgrace, when you cannot trust the authorities. There was so much interference from the British government within the last week, Theresa May, the prime minister, Lord Saville, the judge who presided over the Bloody Sunday Inquiry. He actually came out and it just wasn't his understanding that soldiers should be prosecuted. He thought they had immunity. Lord Saville was the man who ... reinvestigated it, and his results came out in 2010. David Cameron, the prime minister at that time, said that the inquiry had left no doubt that soldiers had fired first and the killings were both unjustified and unjustifiable. Did that leave you the impression that you were going to see charges laid against those who had opened fire, including ... whoever killed your own brother? No. I wasn't confident at that time because of the struggle we'd had over the years. Funny, I was confident this time. I felt sure there was going to be a lot more soldiers charged. I can't tell you the devastation that we felt, you know, when they read out each sector of where the murders occurred. I just couldn't believe it. I suppose the struggle just goes on. This goes back, of course, to 1972 and Bloody Sunday. You were 23 years old. Your brother was 19 and what's the last thing you remember of him alive? The last thing I remember is him and I looking through the crack of the door. My brother had just brought home from England the girl he was going to marry. That was the last memory I have of him. We're looking through the crack of the door and he's laughing, making a joke about something. When he was going off to the march that day, he was smiling and happy, I suppose not realizing, you know, just the danger that any of those people were in. This was going to be a protest and that was what his understanding was? Yes. It was against internment. The civil rights movement had become big by that stage in the north of Ireland. And this was a march against internment because they were arresting our people, innocent people, and they were throwing them in jail — and worse, they weren't going to trial. They were just thrown in jail. How did you learn about the shooting that day? I was with a boyfriend at his house and a knock came at the door. My boyfriend actually answered the door. And I seen my neighbour's face. She was a good friend too. And I thought my mother had died, to be honest, looking at her. I knew somebody had. My mother was in hospital, who'd had a heart attack, a few days beforehand, but was on the mend. When she said, "Willy has been shot dead and your father has been wounded. But he's OK," my world [was] just folding in on me, to tell you the truth. I just thought it was a bad dream. I didn't know how I was going to cope with it because that meant my father and mother were in hospital. In fact, they didn't even get to see his funeral. My mother didn't find out until the Wednesday, the day they were being buried. She just went silent. She went silent until she get home [from hospital]. This is one memory, always stands out for me, is my mother put a foot over the doorstep. She started to screaming Willy's name. You know, "Willy! Willy!" She just wailed and that screaming went on for a long time. That's a vivid memory for me. In the Bloody Sunday report, they said that soldiers had lied to hide their actions, that the commanders had disobeyed orders and sent the troops into that area, that soldiers had opened fire knowing their targets posed no threat. And the report said that other soldiers had fired without being sure. There are those who are saying today that it's possible that some of the other soldiers could face charges of perjury. Is that something that what you would like to see happen? Of course. But, you know, there's no guarantees of justice here. They don't deliver justice. They try and avoid this. I would be very surprised, although the Public Prosecution Service here says that they will be looking at the perjury. It could take them years. That's the way they go. 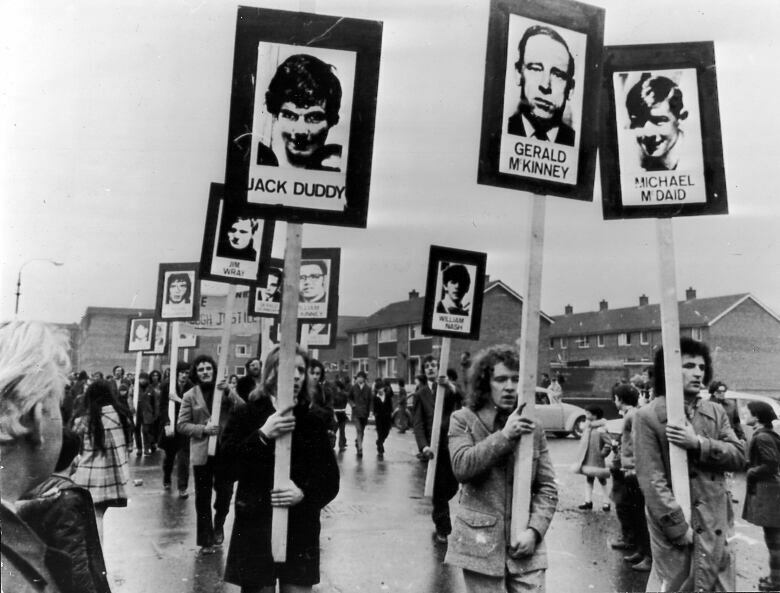 They're waiting actually, the British government, they're waiting for us all to die ... because they don't want it known what they done on Bloody Sunday. Is there anything that could help you move on, Kate? Is there anything that would would end the pain? To help me move on, really, I would need to see justice. It hasn't happened this time. But you know what? We will keep fighting on for justice. Written by Kevin Robertson and John McGill. Interview produced by Kevin Robertson. Q&A has been edited for length and clarity.